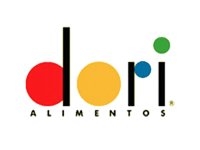 Dori began its activities in 1967 with the production of popcorn and peanuts. The company growth secured the leadership in the sweets and snacks market. Employing around 2400 people, one of the company solid principles is the preservation of the environment. The company is responsible for generating its own energy, besides having its own solid waste treatment system. Rural environmental record of two properties in Rolândia – PR.